If you’re experiencing achy joints, the culprit could be any number of things, like the effects of our unpredictable weather in Central Texas, or a common inflammatory condition known as arthritis. But it could also be something else. Osteoarthritis is the most common form of arthritis and affects more than 20 million people. It develops when cartilage between joints breaks down and triggers aches, pain, and swelling. You are especially at risk if you’re overweight or have overused joints, like from playing a certain sport for many years. Psoriatic arthritis results from an autoimmune reaction whereby the body’s immune system attacks joints causing painful inflammation. It often accompanies an inflammatory condition of the skin known as psoriasis. Rheumatoid arthritis typically affects small joints in the hand and wrist. Sometimes, tiny red bumps, or nodules, appear under the skin just above the inflamed joint areas. These aching joints will often feel warm to the touch. Lupus is another autoimmune condition that causes swollen and stiff joints. Aching joints are often the first sign of this disease, with the extremities being the most frequently targeted. Gout is another form of arthritis characterized by acute pain, normally starting in the big toe. The inflammation in the toe then travels up to other joints in the body. Gout is caused by high levels of uric acid in the blood (present in foods such as liver, turkey, red meat, and alcoholic beverages). 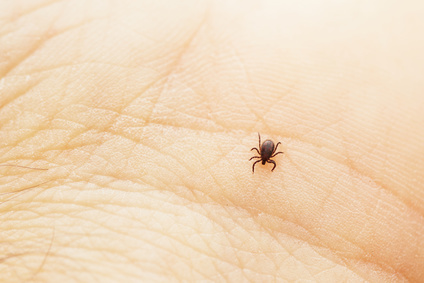 Lyme disease is a tick-borne illness that can cause joint pain. It’s often an immediate reaction to an insect bite along with a distinct bulls-eye skin rash. Seek medical attention immediately if you think you’ve been bitten by a tick. Hypothyroidism is due to an underactive thyroid gland, mostly found in women. Symptoms include joint pain and stiffness, carpal tunnel syndrome, or redness and swelling at the joints. 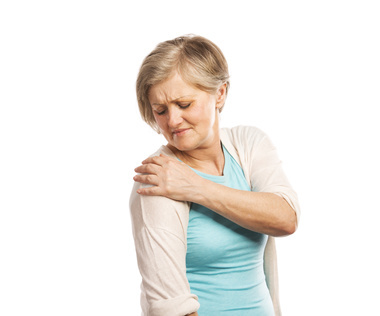 Fibromyalgia can cause sudden bouts of muscle pain, fatigue, or aching joints and is most often felt by women who are overweight and those already suffering from arthritis or lupus. While healthy diet, exercise, and lifestyle changes can go a long way in treating aching joints, sometimes anti-inflammatory or other medications, as well as joint replacement surgery, may be necessary to alleviate the pain. Contact us if you need for more information about joint pain. More than 18,000 runners congregated in downtown Austin last Sunday for the NXP Austin Marathon. Temperatures were some of the highest on race record, soaring into the upper 80s with an even higher percentage of humidity, up to 95% at one point. 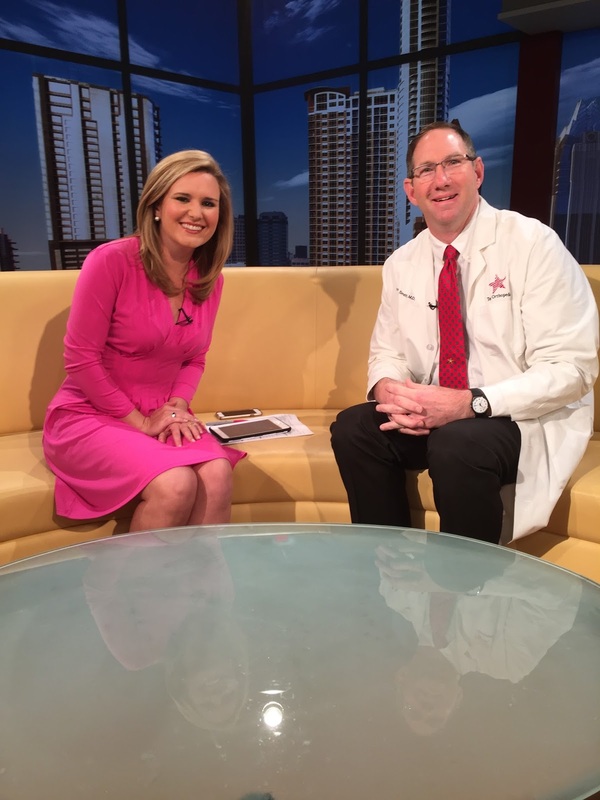 Texas Orthopedics’ board-certified orthopedic surgeon, Dr. Scott Smith, addressed the importance of hydration, and other pre- and post-marathon tips for runners, on Fox 7 Good Day Austin the day before the race. 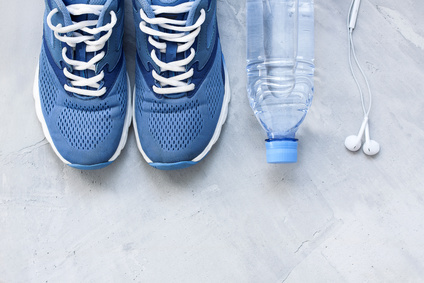 He stressed hydration before, during, and after the race and said that most runners would experience some type of minor injury such as muscle aches and strains, blisters, chafing, or damaged toenails. To watch Dr. Smith’s interview on Fox 7, click here. Which came first, the back (spine) pain or the hip pain? Patients, and orthopedists alike, often grapple with that question when assessing pain associated with the lower back, buttocks, groin, thighs, and sometimes knees. The spine and hip joints are so closely aligned that it can be very difficult to tell which one is the culprit. And often times, one condition can feed off of another in these two areas. 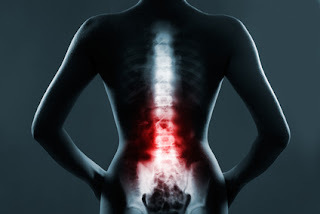 A recent article in the Journal of the American Academy of Orthopaedic Surgeons outlined the similarities of spine and hip pain, and also the differences in treatment for each. A hip condition is often marked by groin pain, and difficulty sitting up or down, or bending over to pick up something or put shoes on. A spinal issue is frequently characterized by tingling or numbness in the buttocks or lower back. Conditions do exist however where there is no clear distinction. The most common one being arthritis. In addition to lumbar and hip arthritis, other conditions that simultaneously and painfully affect both the back and hips are stress fractures, a labral tear (damaged cartilage surrounding the hip), herniated disc, pinched nerves, and spinal stenosis. Physical therapy, injections, medication, and surgery, if necessary, can all be tailored to treat either hip or back pain. If you are suffering from either condition, and would like to schedule an appointment with Dr. Logan or any of our specialists, please contact us here. Why do we get repetitive strain disorders? Because our bodies wear out and we do a lot of repetitive activities. As our population ages we’re seeing more and more of these disorders. I see a different set of repetitive strains in younger aged individuals, mostly related to participation in sports. Of course, an older person can get repetitive strain disorders from playing sports, but they can also get them from hanging up clothes in the closet and getting milk cartons off the top shelf of the refrigerator. Just because you go out and throw a ball a little, doesn’t mean the milk carton wasn’t the culprit. And just because your grandson can throw the ball to you all day, doesn’t mean you can return it all day. -Impingement syndrome: a disorder of the rotator cuff tendons. I also group shoulder bursitis and rotator cuff tears (partial and complete) with impingement syndrome. -Greater trochanteric bursitis: a disorder of the fluid filled sac that is on top of that prominent bone on the side of the hip. I see this more often in women than in men. It’s related to the shape of our pelvis and the way we move. -Plantar fasciitis: a common disorder of the foot, also seen more commonly in women. It results in pain on the bottom of the heel and is commonly called a heel spur. It’s not due to an actual heel spur. -Lateral epicondylitis: also known as tennis elbow. There are many other, less common repetitive strain disorders involving just about every tendon and muscle in the body. -Rest: This doesn’t always mean putting it in a splint, cast or brace. It usually means modifying the painful activity. As soon as you notice pain due to some repetitive activity and you can reproduce the pain by doing that activity, you should modify it. That might mean bracing the extremity involved. It could mean stopping the activity altogether. More often it means changing the way you do the activity; lessening the number of times you do it, decreasing the intensity of the activity, modifying the way you do it. For example, if I have pain in my shoulder when I get a large milk carton out of the top shelf of the refrigerator, I will start buying ½ quart containers and lower the shelf on which I put the larger bottles! That’s simple and if needed, I can live with that modification for the rest of my life. -Anti-inflammation: This can range from the application of ice to prescribing medications such as non-steroidal anti-inflammatories, or prednisone, either in the form of a Medrol Dosepak or an injection. -Exercise: This might include some stretches or some strengthening exercises depending on the condition and the level of pain you are experiencing. Once I get well can I go back to doing things like I was before? Probably not. Most people get these disorders because they are somehow anatomically predisposed to getting them, or because they are not put together to participate in certain activities. Frankly, most human beings are not put together to perform certain sports activities on a regular or high intensity basis. Our joints just will not tolerate repetitive strain for extended periods of time. Sometimes it is just a matter of conditioning ourselves to participate; like building up to run or swim long distances. But most of the time we get repetitive strain disorders because we are just wearing out our parts. We must make permanent changes. Again, that can mean minor alterations of the way we do things around the house, but it can also mean changing the way we participate in a sport or even discontinuation of that sport. I’m sorry to say this, but it’s true. Most of these repetitive strain disorders occur in people who are 40+. I just don’t see them in twenty year-olds. Treating these conditions is kind of like treating hypertension. If your doctor says you have to take an anti-hypertensive medication, do you think you can just take that for a short period of time and your hypertension is cured? Can you stop taking the pill? Will your hypertension come back? Are you ever truly cured of hypertension? No. Occasionally there are people who will make major lifestyle changes and can lower their blood pressure but most people have to continue taking the medications for the rest of their lives. This is the same with most of these repetitive strain disorders. They will come back if you go back to doing things exactly the way you were doing them before. If you make 90% of the modifications permanent, you might be able to continue enjoying some of the activities which previously caused you pain! You can live with that. How can I prevent repetitive strain disorders? Some of them might be unavoidable, but general principles can always be applied: maintain a healthy weight, exercise in moderation, avoid extremes of high impact and high intensity exercises as you age, and maintain flexibility. But it’s also important to recognize repetitive strain pain and address it early, either by seeing your orthopedic surgeon (that’s me) or your primary care physician, or by making the modifications yourself. It’s common for people to try to “work through” the pain, thinking that it’s better to work it than to rest it. This kind of approach to pain probably stems from the idea that you have to “work through” the conditioning pain of getting into a higher intensity exercise like running. The first time you run a half mile, it hurts; your lungs, your feet, your legs. But as you continue to run and run longer distances, it gets better. This is not the philosophy to take with the pain you experience in a tendon or joint as the result of a certain activity or after that activity. Learn to recognize the difference and address it. Rest it. Ice it. Take Aleve or Advil (if your doctor says it’s okay). Then modify it! If you are suffering any symptoms related to an adult repetitive strain disorder, please contact us for an appointment. Carpal tunnel syndrome is a disease of the hand that is characterized by numbness, tingling, weakness, and pain. It is one of the most common disorders of the hand and is a result of compression of the median nerve as it crosses the wrist and enters the hand. The median nerve is one of the major nerves in the arm, and provides sensation to the thumb, index, and middle fingers. As the median nerve travels across the wrist, it passes through a “tunnel” composed of bone and ligaments. People with CTS have increased pressure in their carpal tunnel compared to unaffected people. This increased pressure compresses the median nerve and leads to the classic symptoms of CTS (numbness, tingling, pain). CTS affects up to 5% of the population and is more commonly found in women than in men. Although CTS can result from things like a broken wrist, it usually has no clear cause. It does, however, have several risk factors such as diabetes, hypothyroidism, rheumatoid arthritis, pregnancy, and alcoholism. It has been thought that repetitive motions such as keyboarding may play a role in CTS; however, studies have failed to show a connection between the two. The most common symptoms of CTS are numbness, tingling, or pain in the thumb, index, and middle fingers. One may notice a weakness in the hand or find oneself dropping objects more than usual. CTS can also make it difficult to handle small objects, such as buttoning a shirt. Finally, patients commonly find that the symptoms are worse at night, and may even wake them up on a regular basis. Mild cases of CTS can usually be managed by nonsurgical methods. Wearing a removable wrist brace can help to relieve the symptoms, especially when worn at night. The brace helps to support the wrist and hold it in a position that reduces the pressure placed on the median nerve. Medications such as NSAIDs may provide some symptomatic relief, but are unlikely to cure CTS. If CTS persists despite bracing, then one should seek medical treatment. Longstanding, untreated CTS may result in permanent nerve damage that can cause numbness and weakness in the hand. When bracing fails to control the symptoms of CTS, a physician may offer the patient a steroid injection into the carpal tunnel. This can be an effective short-term treatment for CTS, but only 20% of patients remain symptom-free 12 months after steroid injection. The most reliable long-term treatment of CTS is surgery. The goal of the surgery is to cut a ligament in the palm which will take pressure off of the median nerve in the carpal tunnel. Surgical release of the carpal tunnel has a success rate greater than 93%. Surgery is performed on an outpatient basis and is usually performed through a small incision in the palm. Newer techniques offer the ability to perform minimally invasive carpal tunnel surgery. This involves cutting the ligament from the “inside” while the surgeon watches through a “scope.” Minimally invasive carpal tunnel offers smaller incisions and a shorter recovery period. After surgery, the hand is placed in a soft dressing and patients are able to move their fingers immediately. Patients usually return to light work about 2-4 weeks after surgery. Most patients do not require any therapy after surgery. 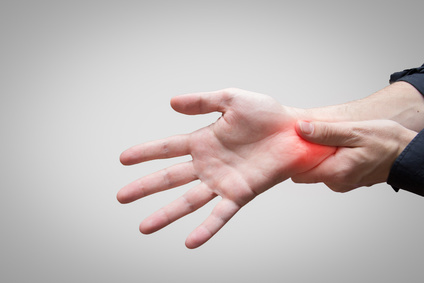 In summary, carpal tunnel syndrome is a common, treatable condition that results from compression of the median nerve as it crosses the wrist. Mild cases can be treated with braces and over-the-counter medication. More advanced cases are treated with surgery. Carpal tunnel surgery is a reliable treatment with a short recovery time allowing a return to work in 2-4 weeks. If you are suffering from painful symptoms of CTS, please contact us here for an appointment to discuss your treatment options. There are runners zipping all over town this week who have come from near and far to participate in the NXP Austin Marathon, Sunday, February 19. These folks have already completed the bulk of their training by pounding the pavement over the past several months. Now it’s time to taper, or wind down the running to virtually a mile or two each day, and ramp up things like relaxing and hydrating. Getting several nights of good sleep before the marathon will go a long way. Your body has the ability to ‘stockpile’ sleep, so get as much as you can to make sure your muscles and mind are rejuvenated. Taking quick naps, or reading and meditating days beforehand, will also have a positive impact on race performance. Consume a healthy mix of proteins, carbohydrates, and fruits and vegetables this week. Since you are not running as much though, be careful not to overconsume, as you will feel weighed down. Avoid heavily fried and high fiber foods that could irritate your digestive system. And drink water like crazy. Get to know the course. Study a map and the actual race course itself. Walk or drive a few legs of it so you are familiar with the terrain and any important landmarks. Locate bathrooms for pit stops and water stations too. Figure out how you will get to/from the marathon. A ride from a friend or public transportation? Pack your race bag with just the essentials (ID, water bottle, hat/sunscreen, energy gels, earbuds and music), and leave other valuables at home. Choose an easy spot to find your supporters afterwards, and let them know where it is. Finally, don’t try anything new the week before your race. No new shoes, new socks, new foods, or anything unpredictable that can literally rub you the wrong way. Texas Orthopedics salutes all of our staff and patients who are involved in the marathon this week. We congratulate you and are cheering you on! How do you know which imaging technology is best after a sports accident or serious fall? Is it an X-ray…an MRI, or a CT scan? As every orthopedic injury is unique and should be treated as such, it’s possible you may need one or a combination of these tests for a proper diagnosis. Texas Orthopedics has complete X-ray capabilities at all of our locations, and MRI services conveniently available at three of our offices. All of these tests are performed by our highly-trained staff of radiologic technologists. If you need to make an appointment for any of these imaging tests, or to schedule a bone density exam for osteoporosis, please contact us here. February is a time when we think about our hearts – and not just because of Valentine’s Day. It’s also American Heart Month organized by the American Heart Association (AHA). The AHA estimates that more than 85 million people in the U.S. have been affected by cardiovascular disease, including heart attack, stroke, and high blood pressure. Along with a healthy diet and quitting smoking, an active lifestyle is one of the most important factors in maintaining heart health. 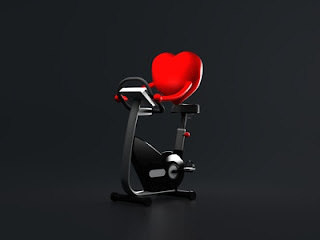 At Texas Orthopedics, we are usually giving props to exercise as a way to keep muscles, bones, and joints healthy, but without a healthy heart, nothing else really matters. HIIT combines short bursts of exercise with short periods of recovery time that get your pulse pounding. Continuously lowering and raising your heart rate improves vascular function and burns calories. Similar to HIIT, weight training offers quick bursts of movement revving up your heart rate, mixed with periods of rest while performing reps. Using free weights also means engaging your core and improving balance at the same time. Working on your core (think Pilates or balance balls) helps brings balance and strength to virtually every other part of the body. A strong and flexible body allows you to become more active and physically engaged in everything you do, whether it’s playing sports, or bending over to pick up groceries. Yoga has a calming effect, is a great stress-reliever, and is also proven to help lower blood pressure. Engage in as much activity as possible in regular daily life. Take the stairs, not the elevator. Park far away, not right next to an entrance. Vacuum or sweep your whole house. People who log at least 30 minutes of physical activity daily, whether it’s a dedicated workout or not, have healthier hearts. If you would like to discuss starting a new exercise program geared towards heart health, please contact us for an appointment.